This year’s Annual Winter Driftwood Sculpture show includes a themed section entitled “Fantasia.” Each year the Annual Winter Show of the Olympic Driftwood Sculptors includes a separate display of sculptures based around a central theme. Past themes have included “Aviary,” “Regatta,” and “Aquarium.” The “Fantasia” theme collects together sculptures related to and or depicting scenes, characters, and icons of the fantasy related genre: dragons, unicorns, mermaids, and more. The rest of the show will be dedicated to the display and sale of driftwood sculpture and other works of driftwood art and craft. A variety of subjects, styles, and uses will be on-hand for your enjoyment: abstract and figural; useful, household items such as coasters and mirror frames; personal, decorative like pendants and earrings; even unfinished pieces of driftwood for you to leave as is or to try your own hand at finishing. On-going demonstrations will be occurring throughout the 6th Annual Winter Driftwood Sculpture Show with artisans explaining their process and answering questions related to their collecting driftwood and creating beautiful art pieces from them. Hand crafted driftwood pendants & other accessories, as well as unfinished driftwood, will be available for purchase. 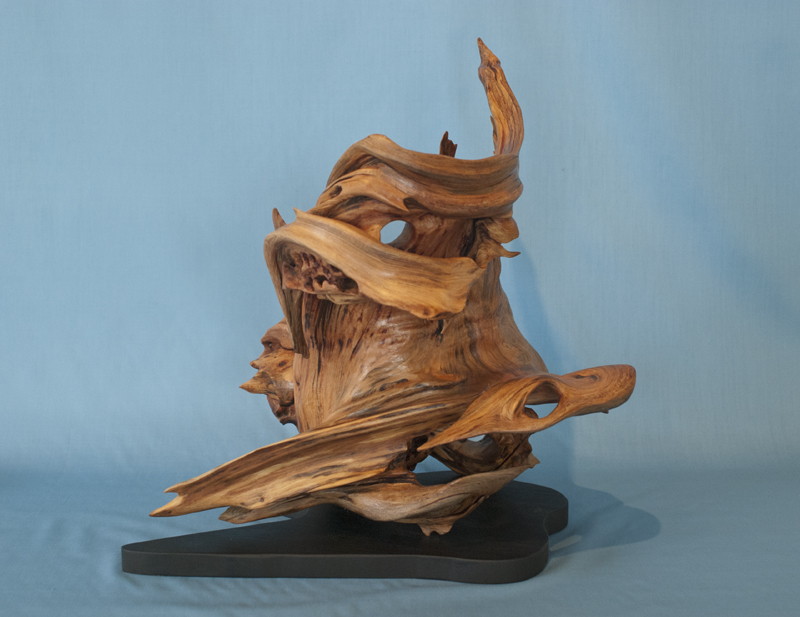 The Olympic Driftwood Sculptors organization was formally established in October of 2008, with the goal of sharing and promoting driftwood sculpture on the Olympic Peninsula and using the LuRon® method. Developed nearly 50 years ago by Seattle driftwood artist Lucile Worlund of Seattle almost fifty years ago, and unique to the Pacific Northwest, the LuRon® method involves revealing the natural shape of the driftwood, rather than carving, adding to, or otherwise altering the shape of the driftwood. An artist utilizing LuRon® method does not sit down to work with a particular idea in mind. LuRon® sculpted pieces can take over 100 hours to complete and utilize non-sealing finishes, usually a homemade beeswax and turpentine mixture burnished with a deer antler, leaving the sculpture’s clear lines and unique grain highlighted with a satin-soft finish. 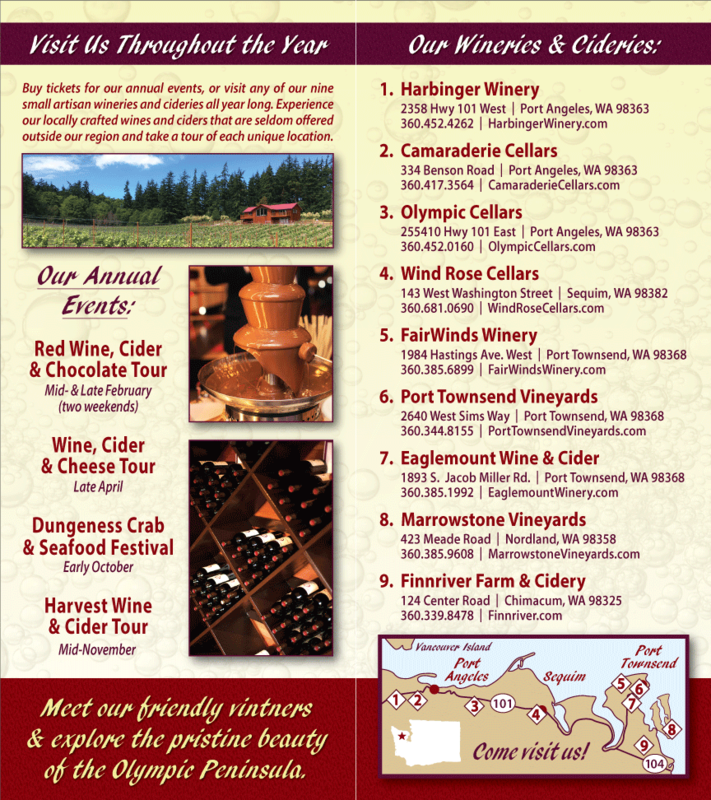 When visiting Sequim, don’t forget there are a number of Olympic Peninsula Wineries members in the area – most should be open and would love to have you drop in – art and wine – what could make for a better weekend?